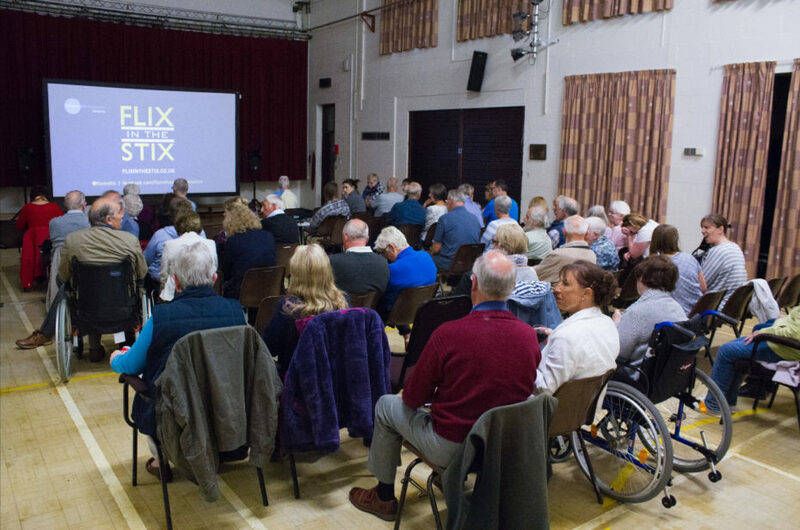 Flix in the Stix is a touring cinema that hosts a monthly screening in seven villages across Lincolnshire, providing a varied and interesting selection of films including recent releases, award-winners and classic titles. Films are screened by a technician on brand-new state-of-the-art equipment, transforming local halls into cinemas for one evening a month. Food and drink is made available at the screenings, with proceeds going to support the local communities. Tickets are priced at only £4, with £2 of all proceeds being donated to the village hall committees for use within the hall and local community. Through Flix In The Stix, Blueprint: Film Foundation aims to provide a low-cost activity for communities in and around Lincolnshire without the hassle of traveling further afield into surrounding towns and cities and to provide this exciting event for people unable to travel. The first year of this project was funded in part by the British Film Institute’s ‘Neighbourhood Cinema’ initiative, and the ‘Awards For All’ Big Lottery Fund. To find out more, head over to the Flix in the Stix website.